Magic Magic, an East Coast-style IPA brewed with raspberry and lemon peel, is one of Torn Label Brewing Company’s (1708 Campbell St.) most popular beers. But Magic Magic’s story is not just about what’s inside the can. Artist and Torn Label sales representative Thomas Woodward created the artwork that inspired the beer, which displays his art on the label. Although Woodward noted the painting wasn’t designed with the beer in mind. Woodward used acrylic paint, spray paint and ink to create the painting. He works with Oddities Printshop to create prints of his artwork. 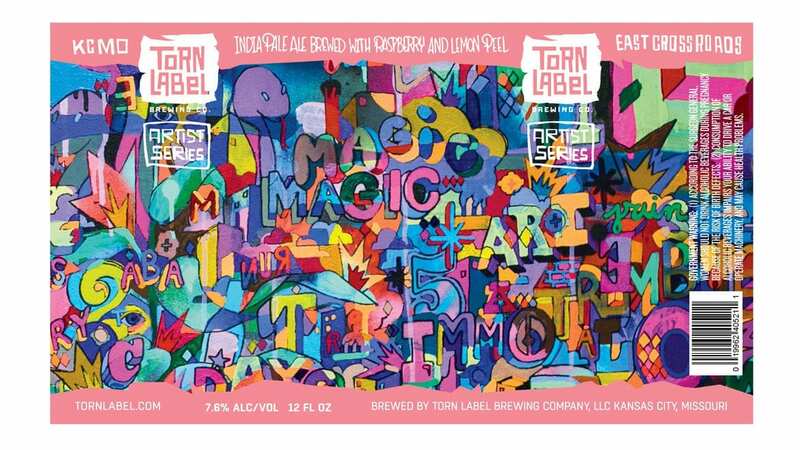 Magic Magic is part of Torn Label’s Artists Series, where a limited-release beer is crafted in collaboration with a local artist. This year, Torn Label will release Magic Magic in four-packs of 12-ounce cans at a release party and art show at 4 p.m. at First Friday, April 6, at the brewery taproom. The beer will be available on draft at the taproom. Greg-Co BBQ food truck will serve its innovative take on KC-style barbecue. Magic Magic will also see limited distribution in Kansas City, Missouri, and Kansas the following week. Limited quantities of new Magic Magic one-off glassware and T-shirts will also be for sale. Woodward will have a risograph print edition, a new T-shirt edition that is limited to 50, and framed and embellished prints. All works are variations on the Magic Magic design. 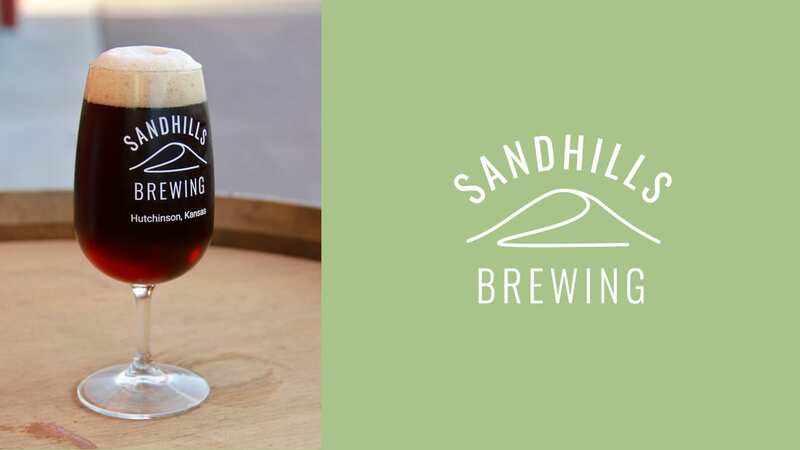 Sandhills Brewing Company, a new brewery based in Hutchinson, Kansas, is set to release its first canned beers April 28. Since the brewery is located more than three hours from Kansas City, the brewery created an online reservation system for four-packs of its 16-ounce cans to better meet demand. Half of the available inventory for each beer is allotted to online reservation. The other half is reserved for walk-in purchases on April 28. The brewery’s initial three beers for release are Chickadee, a Berliner Weiss; Sparrow, a Dark Mild; and Barred Owl, a Scottish export. The allotment of Chickadee available through online reservations have already been reserved. Free samples of each beer will be on tap. Availability of growler fills will depend on turn-out and capacity. Mac Lamken, co-owner of New Axiom Brewing (949 NE Columbus St., Lee’s Summit, Missouri), confirms that New Axiom has obtained all its licenses, and equipment is expected mid- to late April. The brewery has completed its underground plumbing and is working on its floors and construction of walls. The walk-in cooler is due soon. Meanwhile, the brewery poured beer at an event with KJO Media and local rapper Krizz Kaliko of Strange Music. Brewery Emperial (1829 Oak St.) tapped its Pilsener and Porter with house-smoked malt last weekend. Other beers in the works include a Honey Brown Ale made with gambrinus honey malt and honey in the kettle, a special kolsch brewed for the 125th anniversary of U.S. Engineering, a company established in Koln, Germany, and a wheat wine. Strange Days Brewing (316 Oak St.) has released Greenwich Line, a coffee milk stout inspired by English soccer and the relevant time zone. The beer was brewed with City Market Coffee. Kansas City Bier Company (310 W. 79th St.) taps Whiskey Barrel-aged Maibock (6.50-percent ABV, 20 IBUs), a double-decocted version of its Maibock. Char Bar (4050 Pennsylvania Ave. #150) hosts a launch party for New Belgium’s The Hemperor HPA with $3 Hemperor HPA pints, yard games and plinko. Rescheduled from last week, EJ’s Urban Eatery (1414 W. Ninth St.) and Torn Label Brewing team up for a four-course beer dinner. Hamachi crudo with fresno chiles, blood orange, basil and sorrel vinaigrette paired with Mother Medusa IPA, and ancho-cocoa-rubbed smoked beef short ribs and sides paired with Mansion Brew Imperial Coffee Stout are just two of the courses. Grain to Glass (1611 Swift St., North Kansas City, Missouri) teaches a two-hour Beer Flavor ID class ($40). Along with teaching proper tasting technique, this class will cover 10 off-flavors. Bier cicerone Nathan Schriner of Kansas City Bier Company and Hotel Indigo (101 W. 11th St.) present a four-course food and beer pairing event ($50 per person) from 6 to 8 p.m. Courses include Pils paired with crab cake, remoulade and pickled celery, and Doppelbock paired with braised pork belly with celery root puree. Contact Hotel Indigo for reservations at 816-283-8000.
International Tap House (403 E. 18th St.) has a pre-release keg of Torn Label Brewing’s Magic Magic that will be tapped at 6 p.m. The Taproom at Crane Brewing (6515 Railroad St., Raytown, Missouri) releases Coffee Weiss (4.3-percent ABV), a collaboration with Blip Roasters, where Berliner Weiss was re-fermented with Cascara coffee cherries to produce fruity, earthy and cherry-like flavors. Bier Station (120 E. Gregory Blvd.) hosts Farmhouse Friday presented by Shelton Brothers. Saisons available include Fantome Saison, Pissenlit, Blaugies/Hill Farmstead La Vermontoise and Prairie Standard. Other farmhouse ales from Crooked Stave and Jolly Pumpkin will be on tap. Celebrate New Beer’s Eve with the nonprofit Phoenix Family at Strange Days Brewing (316 Oak St.). New Beer’s Eve falls on April 6, the day before Prohibition ended on April 7, 1933, and it became legal again to sell beer. Colony KC (312 Armour Road, North Kansas City, Missouri) releases two new beers. For Shuttlehop New England IPA (NEIPA), brewer Rodney Beagle used nearly a half-pound of hops per gallon of beer to make a juice bomb. Idaho 7 hops contribute papaya and mango flavors, Calypso hops add apple-pear flavor, and El Dorado hops add a tropical stone fruit flavor. As the first in its SourHop series, SourHop #1 is a kettle-soured ale treated like a NEIPA. The 2018 North Kansas City Rotary Annual Spring Fling Beer Tasting at iWerx (1520 Clay St., North Kansas City, Missouri) brings together more than 30 local home brewers, soon-to-open breweries, and several beer-related-item vendors. Tickets are $30 advance, $40 at the door. The Fourth Annual Kegs ‘N’ Eggs craft beer festival features more than 50 breweries with more than 150 options, live music, DJ, food trucks, local vendors, and an adult-only Easter egg hunt with $5,000 dollars cash hidden inside along with other prizes. 403 Club (614 Reynolds Ave., Kansas City, Kansas) features Kansas City Bier Co. bottles on special. KC Bier Co. prizes and specials are available as part of pinball tournament from 5 to 7 p.m.
Martin City Brewing (500 E. 135th St.) releases Radical Candor Double IPA (8.9-percent ABV, 79 IBUs), dry-hopped with Azacca hops, available in six-packs and on draft. Boudlevard Tours & Rec Center (2534 Madison Ave.) hosts Summer School, an educational tasting from 6 to 7 p.m. led by a brewery guide and certified cicerone in the Smokestack Room. The first class will focus on historical styles around the world. Tickets ($15) include a guided flight and a full pour of a beer of your choice.